Detoxing off of benzodiazepines can be one of the hardest things you’ll do. Fortunately, there’s a growing amount of research that supports the use of holistic therapies during benzo rehab in residential treatment. Therapies like mindfulness meditation, yoga, and acupuncture have proven to be helpful coping skills for people struggling with an addiction to benzodiazepines, skills that they can use to build a framework to support them during the duration of their recovery journey. As any seasoned mental health professional will tell you, detox from benzodiazepine addiction is the hardest there is. Because benzodiazepines (or “benzos,” as they’re commonly called) directly affect neurotransmitters in the brain, quitting cold turkey can cause seizures, and any treatment requires careful detox by trained medical professionals. There is no duct tape for benzo withdrawal. The brain has been hijacked. It takes months of slow, careful withdrawal to convince the brain to come online again. And even in the realm of slow and careful, it’s no cakewalk. Melissa’s right: it’s not a cakewalk. Treatment and recovery are possible, however, and it starts with a comprehensive treatment plan, one that includes medically-supervised detox, world-class clinical and psychiatric care, and a range of holistic therapies. Because most holistic therapies encourage prolonged introspection, they can be a significant tool for people supporting themselves through the long haul of benzodiazepine addiction recovery. Coupled with the pharmacological and talk therapies that people usually expect to encounter during residential treatment, things like mindfulness meditation, yoga, and acupuncture can strengthen the mind and give people in recovery a handful of critical coping skills to rely on during a difficult detox. There’s a growing amount of research around mindfulness meditation, and though the methods and scope of each study vary, the results are the same: it consistently reduces the anxiety of those who practice it. Because benzodiazepine addiction is often rooted in a need to manage persistent—and sometimes debilitating—anxiety, mindfulness meditation in residential treatment programs can be helpful in a number of ways. It teaches people to acknowledge difficult thoughts and emotions objectively, without reacting to them. That way, they’re able to separate the need (to manage anxiety) from the addiction (the physical habit by which it’s carried out). That can be a hugely helpful tool during detox, and moving forward, in learning to manage addiction triggers. It encourages people who practice it to be open-hearted and non-judgmental, especially about their past experiences. The root of addiction is often past trauma. Mindfulness meditation can help people in treatment learn to approach that trauma open-mindedly, without being triggered by it. It fosters acceptance in the lives of those who practice it. Once those difficult thoughts, emotions, and traumas have been acknowledged, mindfulness meditation teaches people how to accept them for what they are: experiences that happened, but that don’t control or define the person they happened to. For people who do better with movement-oriented therapies, yoga can be a helpful way to make a bridge between mindfulness and kinesthetics. Like any physical activity, an intense yoga session can cause an uptick in the release of neurotransmitters in the brain. Those neurotransmitters act like natural antidepressants, flooding the brain and causing a sense of euphoria that can help stave off intense depression and anxiety. But yoga also has a very strong meditational component, and that can be really grounding for people in detox and recovery from benzodiazepine addiction. 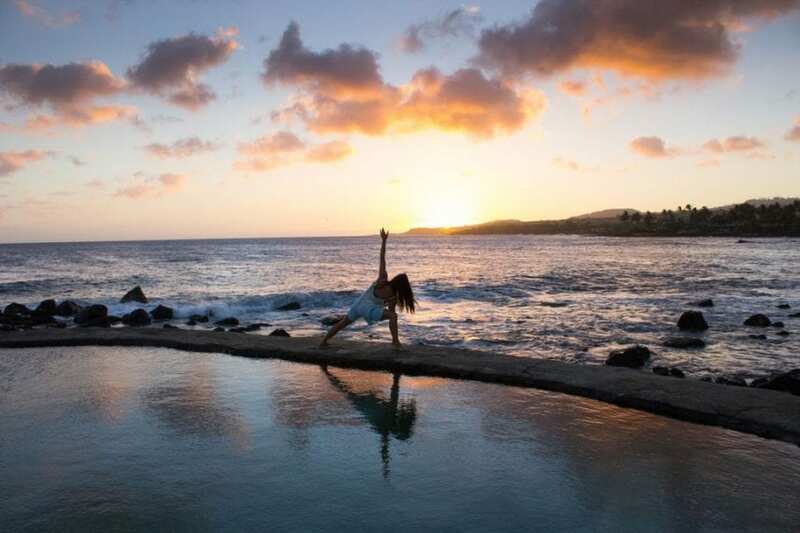 In fact, some think about yoga as a way of deepening their existing mindfulness practice by building a stronger connection to their bodies, and that’s precisely why it can be such a powerful support in residential addiction treatment. For many, it’s a way of reclaiming the bodily agency that addiction strips away. During a process as long and labored as benzodiazepine detox, using acupuncture to find relief from withdrawal symptoms can be critical to recovery. Holistic therapies like mindfulness meditation, yoga, and acupuncture (not to mention exercise, massage, and art therapy) may have been considered part of the alternative medicine spectrum ten or twenty years ago, but today, they’re an integral part of any strong addiction treatment program. In conjunction with treatment options like talk therapy and psychiatric care, holistic therapies help create a comprehensive system of support for people in recovery from benzodiazepine addiction. Most importantly, they equip the people who practice them with a wealth of new coping skills that they can pull from as they embark on the rest of their recovery journey. Alta Mira offers a broad array of treatment options for people living with addiction as well as co-occurring mental health disorders. If you or a loved one is struggling with an addiction to benzodiazepines, connect with us to learn more about how we can integrate holistic therapies into your treatment plan and help you forge a path to lasting recovery.